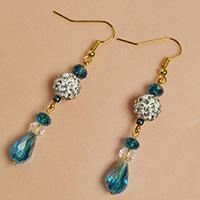 How do you like beaded dangle earrings? 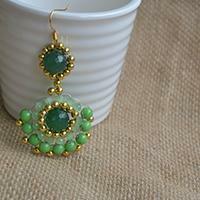 With the summer coming, Here I will share a pair of fresh beaded dangle earrings with you all. 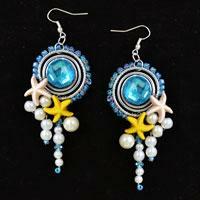 Do you like beaded starfish earrings? Today we’ll show you how to make a pair of beaded star earrings, This Beebeecraft article is about a pair of handmade seed bead and crystal bead star earrings. Wanna special beaded earrings? If yes, follow me to see how to make this pair of glass and jade beads earrings. Try them! This tutorial will share a pair of seed beaded earrings to you all, if you are searching for how to make seed beads earrings, then you can never miss this one! 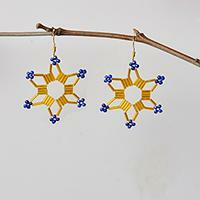 In this article, you can see a pair of gold tube beaded star earrings with blue seed beads. 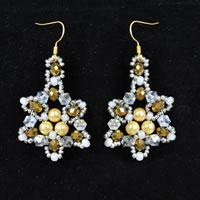 Hope you like the gold tube beaded star earrings. 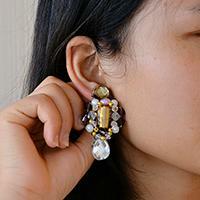 How do you like beaded dangle earrings? 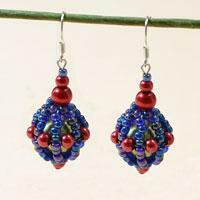 Here I will share a pair of fresh beaded dangle earrings with you all. As the Halloween is approaching, I will share some jewelry crafts about Halloween with you. 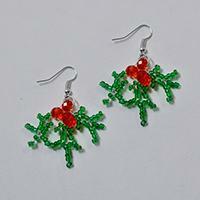 And here I bring a pair of beaded spider earrings, hope you will like it. Wanna make a pair of simple earrings for yourself at home? Check today's diy project if you are quite interested in. 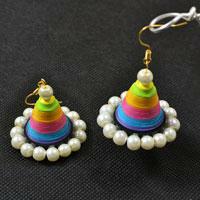 Do you have any interest in cone quilling paper earrings? Then today’s Pandahall tutorial on how to make cone pearl beads dangle earrings with colorful quilling paper is suitable for you.Enjoy it! Wanna make a pair of beads hoop earrings? If yes, then you are so lucky. Here I will tell you how to make bead hoop earrings. Do you like snowflake jewelry? If so, you may fall in love with the beaded snowflake earrings. Check the detailed Pandahall tutorial below to learn how to make the beaded snowflake earrings. Do you love ball drop earrings? In today's DIY project, I will show you how to make a pair of purple seed bead and red pearl ball drop earrings. This is a detailed tutorial on making a pair of vintage beaded drop earrings with pearl beads, glass beads and rhinestone beads. Just check the steps below to start your DIY project. 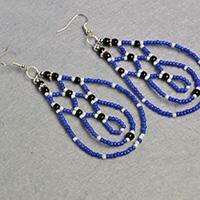 I have made many beaded drop earrings. 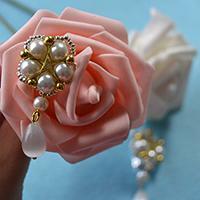 Today, I will tell you how to make a pair of pearl beaded drop earrings for girls. Do you love pearl bead jewelries? Today, I will show you how to make a pair of pearl beaded earrings with sea star. Christmas jewelries are so cute and beautiful, right? Now, I will tell you how to DIY Christmas beaded earrings easily. Stud earrings are smaller than general earrings, but they still have their own charm. 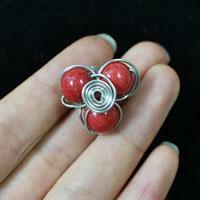 Today, I will tell you how to make jade bead stud earrings step by step. Here is a detailed tutorial on how do you make gold and green round drop earrings with gemstone beads. 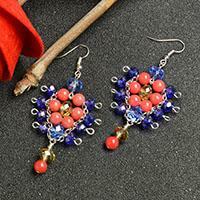 Do you like colorful beaded jewelry? 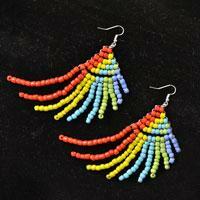 In this tutorial, I will show you how to make colorful beaded fairy wing earring with seed beads. 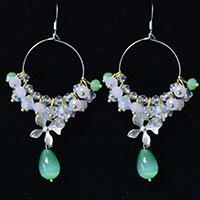 In this tutorial, I will show you a pair of charming flower shaped earrings with beaded pendant. Hope you will like it.